Vicchem 707 is a polymerised hydroxy fatty acid (Polymerised Ricinoleic Acid) that can be formulated with a wide range of oils, surfactants and oil soluble materials. VICCHEM 707 is a viscous amber liquid with a fatty odour. 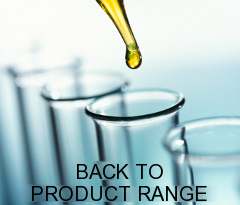 VICCHEM 707TM as a polymerised hydroxy fatty acid has excellent viscosity improving powers and can be easily formulated with a wide range of oils, surfactants and oil soluble materials. VICCHEM 707TM is oxidatively stable, nonvolatile and readily biodegradable. For these reasons VICCHEM 707TM is an excellent alternative to petrochemicals in formulations. Excellent viscosity properties can provide formulators with replacements for petrochemicals.